According to the National Highway Traffic Safety Administration, around 30% of all car accidents are rear-end collisions. 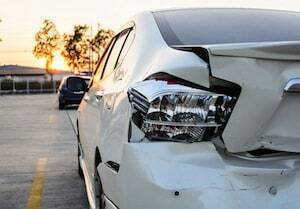 Generally speaking, the injuries and property damage in rear-end accidents are not as significant as in other types of car accidents. Why? The spacing between the impact and the occupants, and the fact that so many rear-end accidents occur at relatively low speeds. Most of the $5 billion insurance companies pay out every year, in rear-end accident settlement and verdicts, involve property damage claims. But that is misleading, too. We have had severe injury and death cases in rear-end accidents. Especially when trucks are involved, or our client was on a motorcycle or when the speed of the rear-ending vehicle is extremely high. 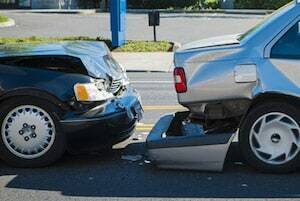 What causes rear-end collisions? Driver inattention accounts for the largest of rear-end crash causal factors. The National Highway Traffic Safety Administration reports that 63% of all rear-end crashes were caused by driver inattention. A frequent cause of rear-end accidents occurs is a form of driver inattention known as “look but did not see” occurs during periods of pre-occupation when drivers are looking at the hazard in front of them but are lost in their thoughts and are oblivious to the vehicle in front of them in plain sight. So despite scanning the environment, too many drivers experience stretches of time when little to no information is being processed from the forward roadway. Get more information on the settlement value of rear-end crash cases? Get statistics and more verdicts and settlements from around the country. The following verdicts and settlements are a random sampling of recently resolved rear-end accident cases. Some of these cases are our cases in Maryland and others are results from around the country. Remember a few things when using this data. First, there is no way to predict the value of your case by just looking at the case. Every claim is different. You will also notice that compared to other types of accidents, the values are less. But looking at a certain kind of accident is the wrong lens to be looking at in trying to find similar cases to yours. The better metric would be looking at similar injuries. 2017, Maryland: $250,000 Settlement. Our clients were rear-ended by rear-ended by an off-duty police officer with their 2 dogs in the car. Their car was forced into the back of a tractor-trailer. One client suffered a facial injury that healed well and was flown to Shock Trauma. There were two other victims in the crash. There was a $300,000 insurance policy. Our clients recovery $250,000 while the other two victims split $50,000. 2015, Maryland: $335,000 Settlement. A 50-year-old female massage therapist has a low impact accident with an SUV. Our client had no property damage. She thought she was fine. She drove home from the crash. But she is later found to have ulnar neuropathy. We brought a lawsuit in federal court after a meaningless settlement offer of $12,000 from Deep South Insurance. A suit was brought against the trucking company and the truck driver in the Maryland Federal District Court in Baltimore. Defendants argue what you think they would argue: "How could she be hurt in the accident?" But Plaintiff’s treating orthopedic surgeon supported her contention that the injury was caused by the crash. But the case still reached a settlement after we vigorously prepared the case for trial. Miller & Zois handled this case. 2015, Maryland: $190,000 Settlement. Plaintiff was a 42-year-old female was injured in a rear-end crash in Prince George’s County, Maryland. The insurance company, Travelers, refused to make a settlement offer. So we filed a lawsuit. Why no offer? Probably because she has almost no property damage to her vehicle. But she complained of injuries to her neck and back...and she was a very credible person. She sought treatment from an orthopedist and a neurologist. A neck MRI revealed a disc herniation at C6-C7. Years went by, and she eventually required surgery, a cervical fusion. After suit had been filed, the case resolved in mediation for $190,000.00. Our law firm, Miller & Zois, handled this case. 2015, Maryland: $47,380 Verdict – Three retired women were driving through the 895 Tunnel. After they paid the toll, a car suddenly rear-ends their vehicle. There was very little damage to their vehicle, but their car is pushed into the following car in the collision. Despite the lack of damage, each of the plaintiffs complains of soft-tissue damage. None of the victims had surgery or required steroid injections. They file suit against the driver of the at-fault vehicle alleging that he followed their car too closely. The case goes to trial, prompting the defense to contest the extent of the plaintiffs’ injuries. In the end, each plaintiff is awarded medical costs and $6,000 in pain and suffering. 2015, New York: $125,000 Verdict – A man in his mid-20s was riding in the back seat of a car when it stopped at a red light. Another vehicle rear-ends his car. Immediately after the crash a verbal argument ensues between the occupants of each vehicle. After the argument, the man in the car that was rear-ended is taken by ambulance to the hospital, where he is treated for neck pain. A few months later, he undergoes a series of MRIs, which show disc herniation and bulges. He sues the driver of the other vehicle, who claims that the only injuries suffered were soft-tissue injuries. Further, they allege that the disc injuries were the result of a degenerative disc disease that plagued the plaintiff. The jury eventually awarded $125,000. The entire award was for pain and suffering. 2015, Illinois: $79,811 Verdict – A sixty-year-old secretary was driving in the evening behind several other vehicles. She pulls up to a red light when a car strikes her from behind. The woman is taken by ambulance to the emergency room, with soft-tissue damage and sprains of her back, neck, and legs. Plaintiff undergoes three months of physical therapy. She decides to sue the driver of the other vehicle, claiming that the accident spurred on additional pain and discomfort whenever she tries to walk or stand for extended periods of time. At trial, the defense concedes liability but fights on damages, suggesting that the bulk of the plaintiff’s injuries came from previous medical conditions. After a deadlocked jury received an instruction to keep deliberating, they returned a verdict for the plaintiff for $79,811. 2015, Pennsylvania: $75,015 – A pizzeria shop owner is rear-ended by a pickup truck while stuck in traffic. 48 hours after the accident he seeks the care of a chiropractor after experiencing back and neck pain. After nearly eight months of treatment, the chiropractor noted that the man should be back to around 90% of his pre-accident baseline status. Still, an MRI reveals that the man also suffered disc herniation, requiring heat and massage therapy for an additional five months. Given the mounting costs, the man sues the driver of the other vehicle. At trial, the other driver admits liability but brings up the fact that the injured driver did not miss any work nor was the impact significant. A jury awards the injured driver $75,015. 2015, Florida: $13,586 Verdict – A very minor rear-end accident ensues when a car collides with another vehicle at a red light. Despite how minor the impact is, the plaintiff sues the driver of the vehicle that collided into her. She alleges that the accident resulted in a herniated disc and cervical sprain. At trial, the defense contests the extent of her injuries, claiming that the plaintiff only suffered a minor sprain, which was supported by the fact that she missed no work. The defense further suggests that her injuries were likely caused by previous surgeries. Nonetheless, the jury awarded the plaintiff $13,586, all of which was past medical expenses. 2015, Pennsylvania: $75,000 Verdict – A nurse in her late 20’s was driving when she pulls up to a major highway intersection. While she is stopped at a red light, another driver does not slow down in time and rear-ends the woman. She goes to the emergency room, complaining of back and neck pain and also learns that she has a high-risk pregnancy. After an MRI reveals various herniated discs, the woman undergoes physical therapy but must undergo surgery as well. She sues the driver of the other car, who neglects to respond to the lawsuit. The woman ends up having to sue her uninsured motorist carrier, and a jury ultimately awards her $75,000. 2015, South Carolina: $30,000 Verdict – A 34-year-old woman is operating her vehicle in heavy traffic on a major highway. She is suddenly rear-ended by another vehicle, with the impact speed of the accident around 75mph. The woman’s car is struck so violently that it is pushed into the car in front of her, and both cars could not be driven away from the scene. The woman seeks emergency treatment for neck and head pain, undergoing pain management and therapy for occipital nerve damage. She sues the driver of the other vehicle, claiming that they did not maintain an appropriate distance between the vehicles. In her lawsuit, she suggests that she accrued $175,000 in medical expenses, leading the defense to contest damages. The jury ultimately awards her $30,000. 2014: Maryland: $290,000 Verdict -- A 40-year-old woman suffers a minor disc injury after a rear-end accident. We say minor because the MRI did not show a significant injury, but there is no question this woman had a nerve injury that was causing her some problems. State Farm offered $70,000, which was more than we thought they would because State Farm typically puts little value on these kinds of cases. But our client thought the case was worth a lot more money and the jury thankfully agreed. Miller & Zois handled this case. Fortunately, Maryland law is relatively favorable for victims of rear-end collision accidents. Maryland has an evidentiary presumption rule that makes litigating these claims slightly easier. Our courts have held that a presumption of negligence is placed on the driver of the following vehicle in a rear-end collision. While the plaintiff still has to prove his case, this presumption already puts a defendant on the back foot in a rear-end collision case. Statistics show that plaintiffs win approximately 63% of rear-end truck accident cases, which seems absurdly low. I cannot imagine that is the statistic in Maryland. Our law firm has never lost a rear end accident case. During a rear-end crash, the seat back cushion moves into the torso of a vehicle's occupants as the vehicle surges forward. Occupant motion research indicates that rear-end impact change in velocity levels over even three miles per hour for unsuspecting motorists has sufficient forces to cause an occupant's head to rotate rearward enough to hit an upright headrest. This impact causes a jolt that leads to soft tissue injuries, usually in the neck but also in the back, involving joint capsules, muscles, ligaments, and tendons. These types of injuries by their inherent nature can take a long time to heal. Were you seriously injured in a motor vehicle accident? We will fight for you to get you the money you deserve. Contact us to learn about your options and what we can do for you. You can get a free online consultation, or you can call us at 1-800-553-8082.